Randy and Oliver Melendy awake one morning full of gloom. Their brothers and sisters are away, the house seems forlorn and empty, and even Cuffy, their adored housekeeper, can't pick up their spirits. Will they have to face a long and lonely winter? But a surprise message in the mailbox starts a trail of excitement and adventure that takes them through the cold season. When summer comes around, the children have found 14 messages in all, and the end of the search brings them a rich reward. 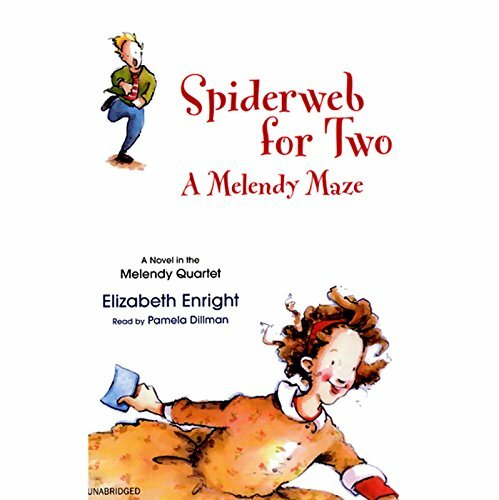 Full of unforgettable moments and delightful twists of language, this fourth book in Elizabeth Enright's Melendy Quartet makes for a grand finale to an equally grand collection of stories. ©1951 Elizabeth Enright Gillham, copyright renewed 1979 Nicholas W. Gillham, Robert M. Gillham II, and Oliver Gillham (P)2004 Listen & Live Audio, Inc. When I read that this book is chiefly about the youngest two Melendy children, I thought I might not like it as well as I did the others in the series. But, just like the others the book is chock-full of childish images, adventures and interesting characters. I, my children and now my grandchildren have read and loved this series for decades. OK - we know them by heart. Pamela Dillman does a great job of reading the stories, but someone in Audible Tech has messed up: the chapter on 'named for a jewel/named for a bird' is missing more than HALF that chapter's words. I don't think Audible an do anything about this since this book was recorded almost a decade ago. But you should know about this. It's disappointing but I still rely on Audible and ALL of the Melendy Series. One of my favourite books in all time! Great book, makes me think of my cabin with all the wonderful adventures. Personally I think that this book is good for any age because it's full of exit net and wonder. My favourite things about it is how they have to "follow" clues to get to the final clue.